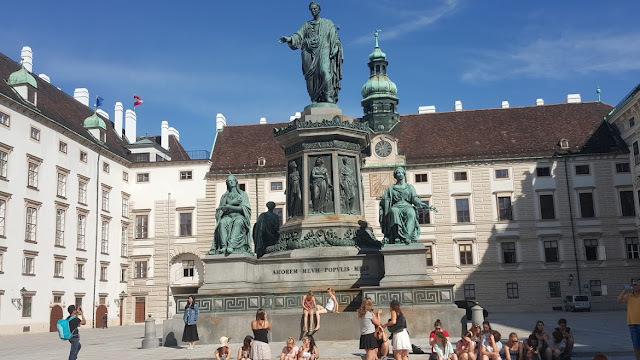 I gave an overview of a three days quick travelogue in my previous post that my two sons took to visit three Schengen countries: Austria, Hungry and Slovakia recently. 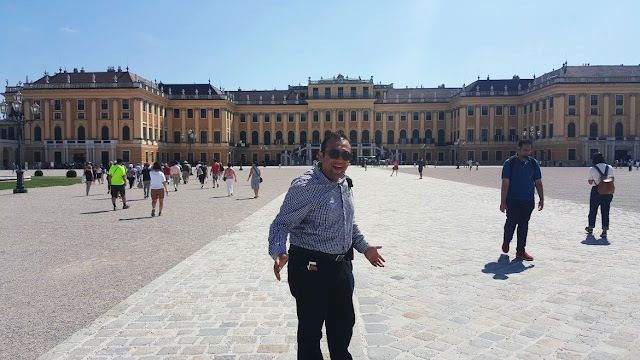 Now here is the detailed travel details and the landmarks of each capital so visited. 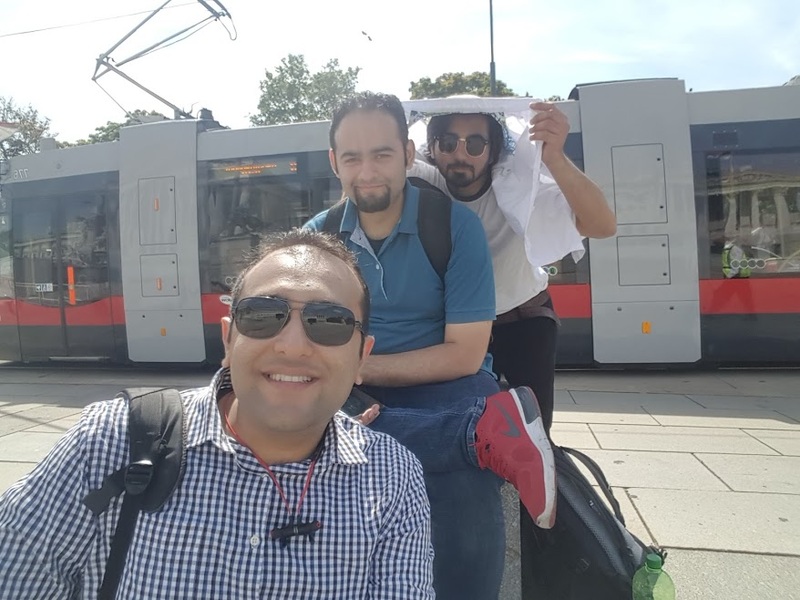 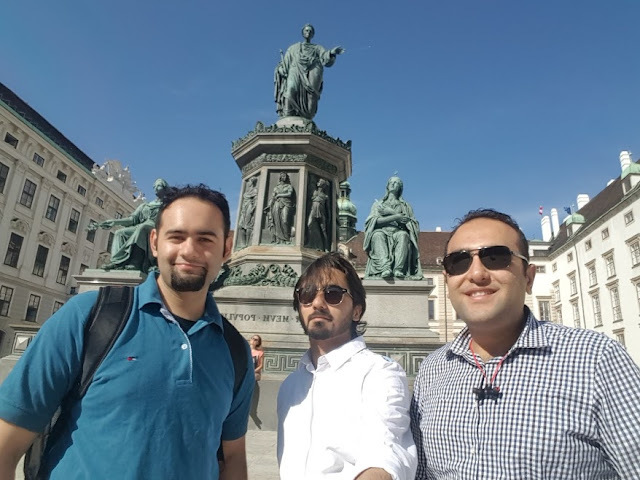 Their journey by bus started from Stuttgart, Germany with a halt at Munich, from where one of their friends also joined them for the three days journey ahead. 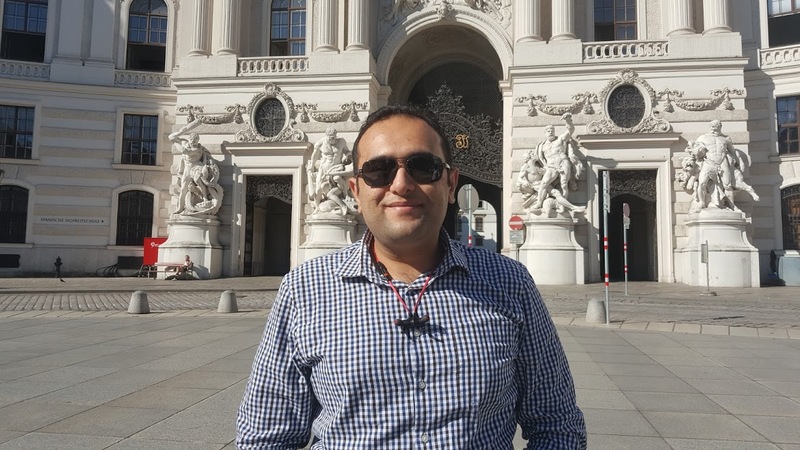 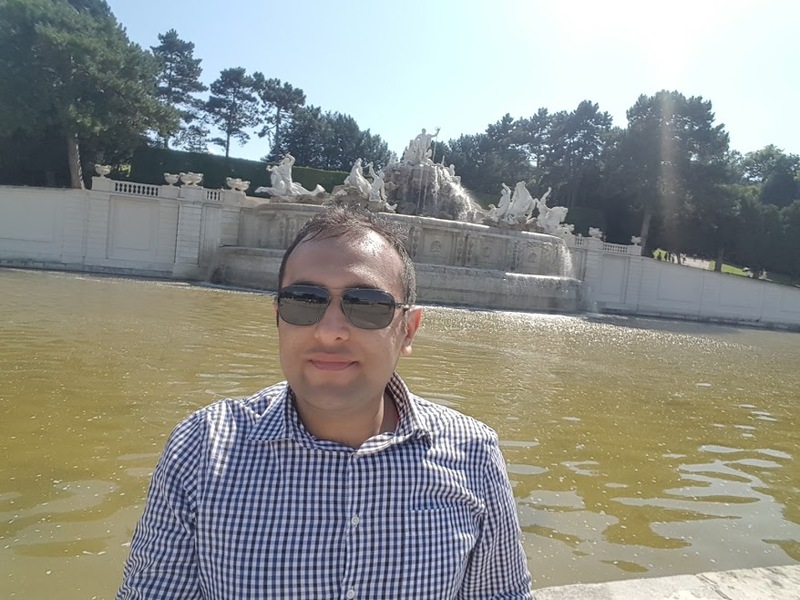 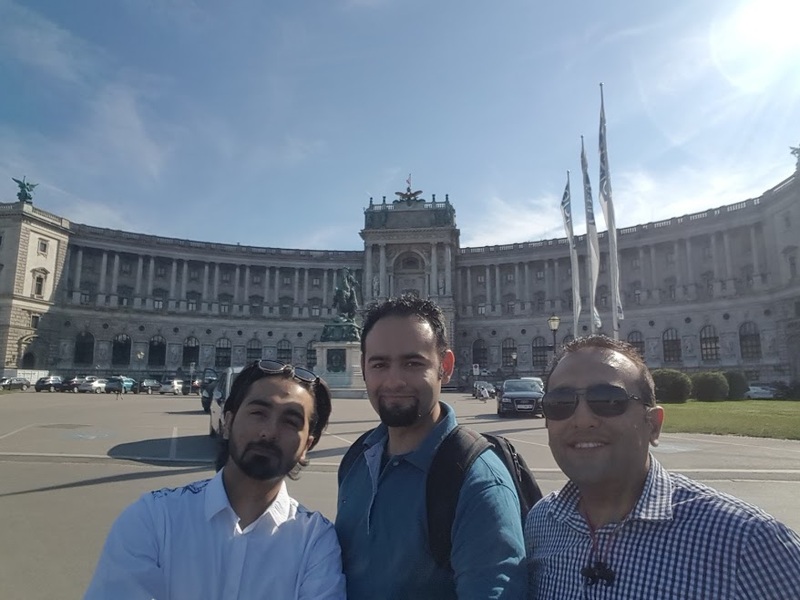 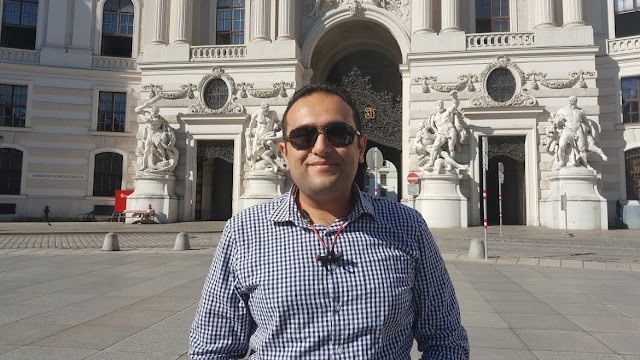 The bus reached Vienna early next day and after refreshing up and a hurried breakfast, they were taken to the major landmarks of the city by the tour guide. Vienna is the largest city and capital of Austria with a population of around 2.6 millions, nearly one third of Austria's population. 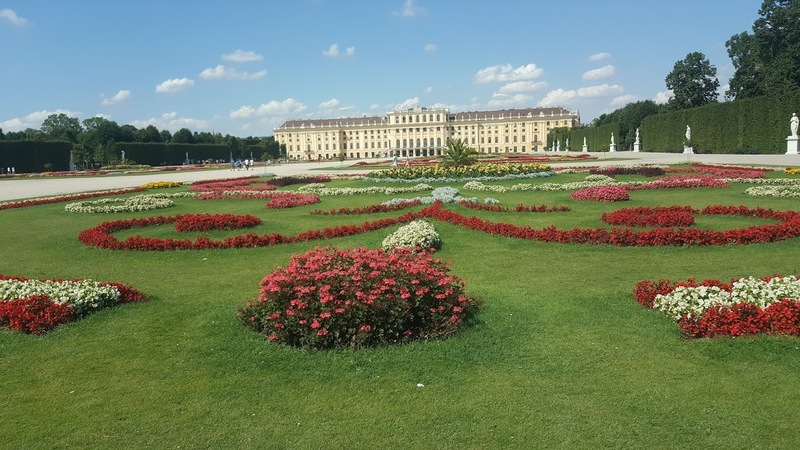 Until the beginning of the 20th century, it was the largest German-speaking city in the world, and before the splitting of the Austro-Hungarian Empire in World War I. 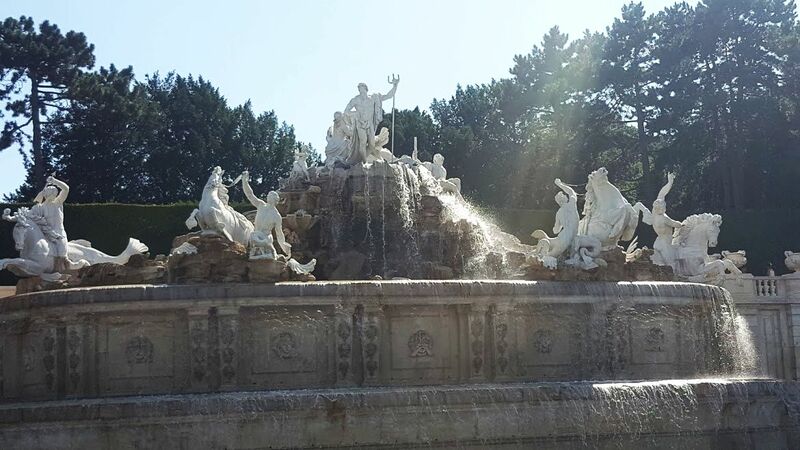 Today, it has the second largest number of German speakers after Berlin. 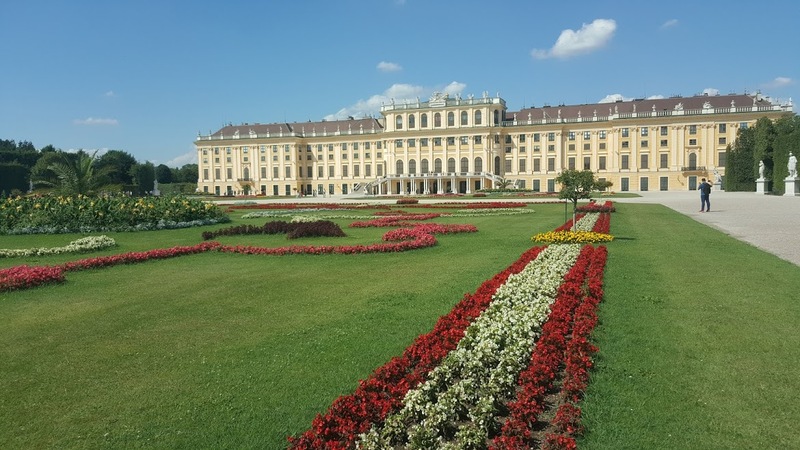 The city is located in the eastern part of Austria and is close to the borders of the Czech Republic, Slovakia, and Hungary. 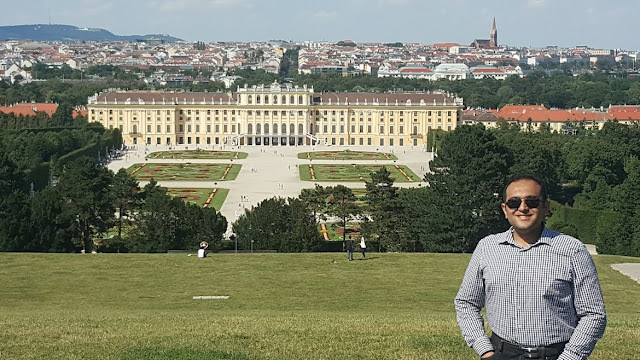 The famous Danube River is Europe's second-longest river, after the Volga River. 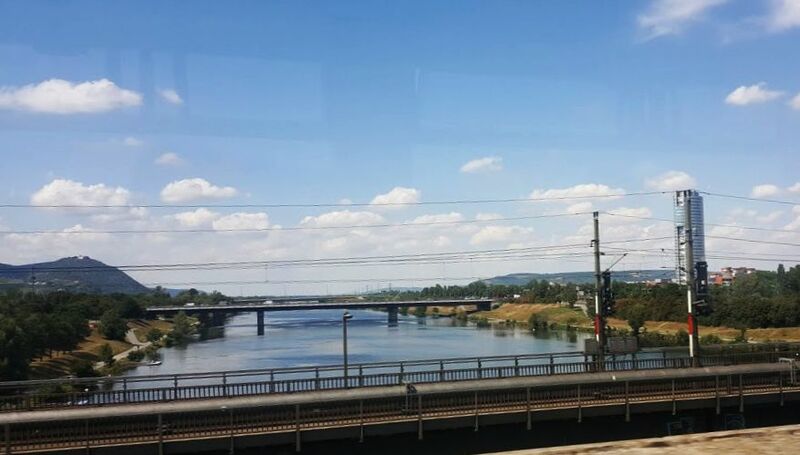 It flows through 10 countries, more than any other river in the world. 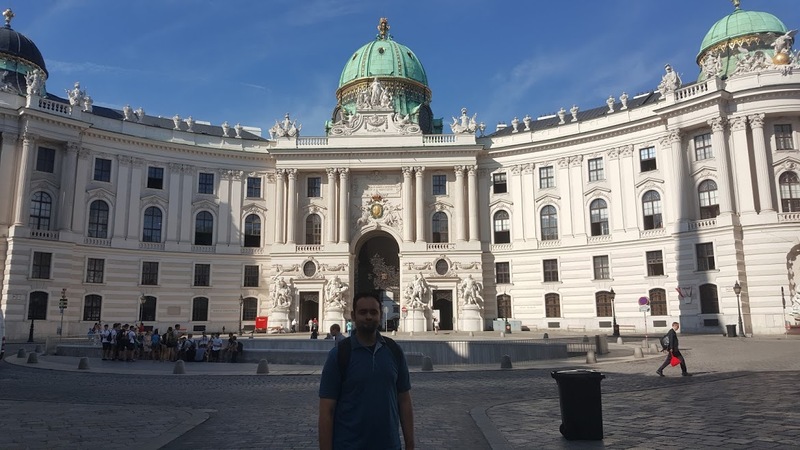 Originating in Germany, the Danube flows through Austria, Slovakia, Hungary, Croatia, Serbia, Romania, Bulgaria, Moldova and Ukraine before emptying into the Black Sea. The Danube River flows through four national capitals – Vienna (Austria), Bratislava (Slovakia), Budapest (Hungary) and Belgrade (Serbia). 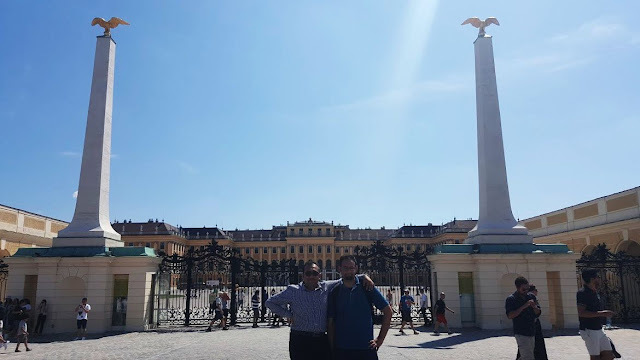 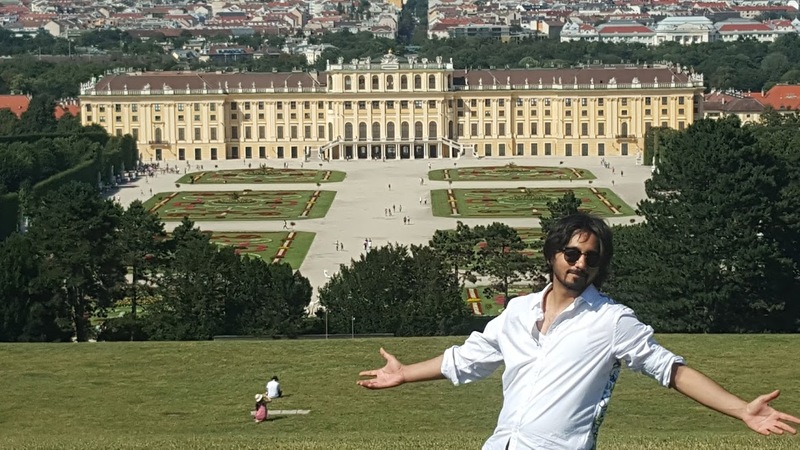 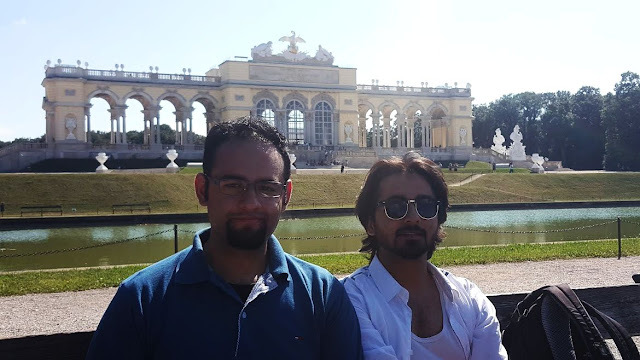 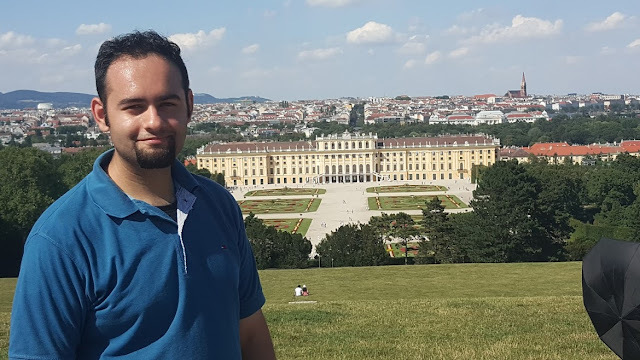 One of the oft visited land mark of Vienna is the 16th century Schönbrunn Palace or the Palace and Gardens of Schönbrunn as it is officially known, is a former imperial summer residence, located in the Hietzing region of Vienna. The palace was named Schönbrunn meaning beautiful spring - synonymous with its lush green gardens full with flowers almost the whole year. 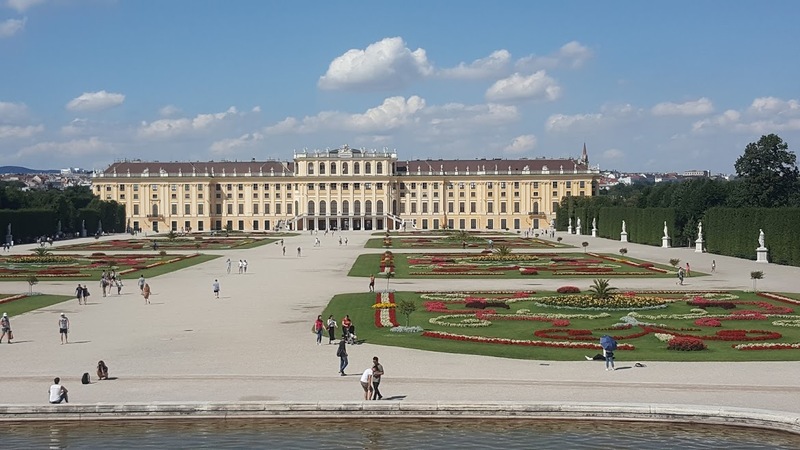 The garden axis points towards a 60-meter-high (200 ft) hill, which since 1775 has been crowned by a Gloriette structure. 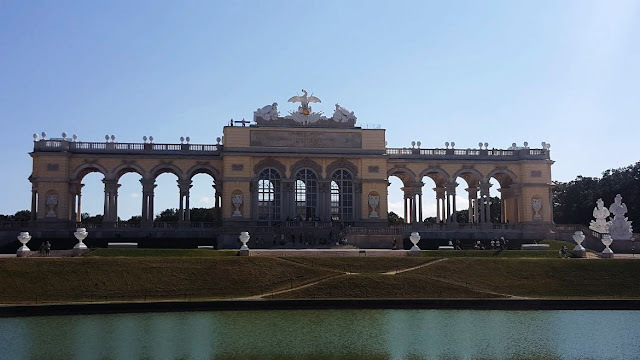 The Gloriette was destroyed in the Second World War, but was restored to its original design in 1995. The Gloriette today houses a café and an observation deck which provides panoramic views of the city. Hofburg Palace is also a famous landmark of Vienna, which was built in the 13th century has been the seat of power of the Habsburg dynasty rulers. 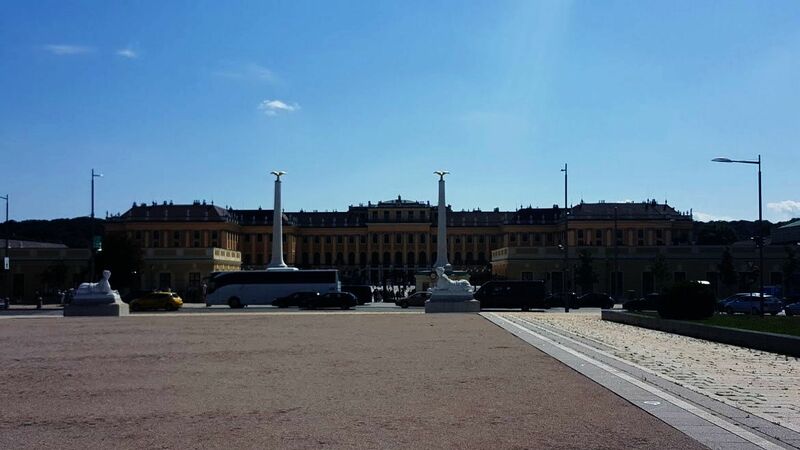 Presently it is the official residence and workplace of the President of Austria. Within the palace compound, there are many other buildings that also are famous tourist attractions. Amalienburg, named after Empress Amalie Wilhelmine, the widow of Joseph I is situated across the Swiss Gate and part of the Hofburg Palace. 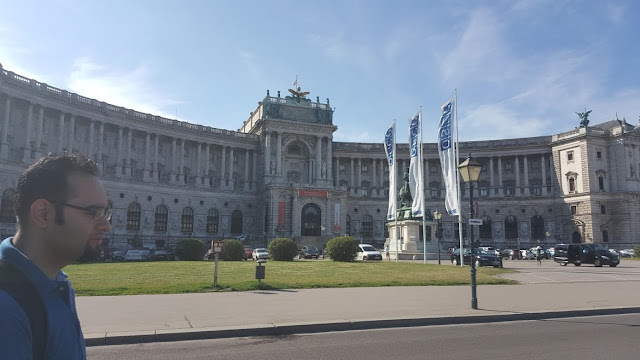 Located in the Hofburg Palace, Wien - Naitonalbibliothek or the Austrian National Library is said to be stocked with 7.4 million items and is the the largest library in Austria. The library is located in the Hofburg Palace complex.